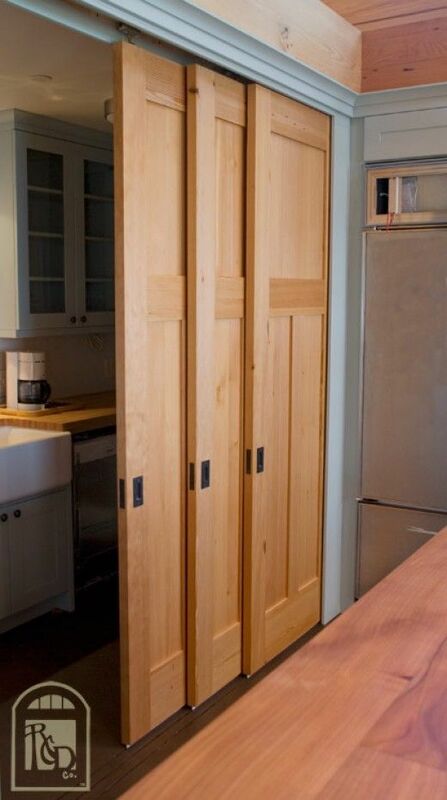 The Rhodes Log: Closet Door Makeover Ideas. Help?! All of the options have pros and cons - I can see your dilemma. My first thought was curtains - I love that idea. Of the 3 options, I like the middle one (wood) of the bypass, any of the curtains, or the green or white bifold. I'm not a big fan of mirrored doors anywhere. I really like the white folding doors. It will give it a clean look, which is especially important if the space is small. I say curtains. I've never lived anywhere with highly functional bypass or folding doors, and while granted, I've only encountered them in crappy apartments, I still feel there's a lesson here. Curtains are attractive, cheap, functional, and easily changeable if you think you need to do something different in the future. Curtains do seem like a great temporary fix. Resale: no curtains (too hippie), no mirrors (can rub people the wrong way). Yes... lots of mirrors in a master bedroom is just kinda...awkward. I like the white bifold doors best, and if you're planning on reselling soonish, I think those would be your best bet. We had bypass doors that never made it back on the closets (in any bedrooms! underachievers) and while I like not always having them in the way, it would be nice to hide the mess a bit better. If you don't end up using both closets as closets (although that sounds dreamy in my small house!) maybe you could set one up for a mini office/craft area or something? I actually like open closets just fine...and JACOB is orderly enough that he could actually swing it. But ME...not so much. I like the style of the green doors but the color is probably too eccentric. But the sort of repurposed window shutters look appeals to me. You could totally make a mini-nursery in one of those. I would do it. I've thought that if we ever built our own house (probably never gonna happen), I would want a baby room attached to the parent room which could be converted to a walk in closet when there weren't any more babies. Jacob loves the idea of a nursery. He wanted to make Murphy bed for our first born that would fold out of the wall. I say bi-folding doors. As the owner of a curtain covered closet, it never looks as clean as I'd like it. Plus, I can never decide what curtains I want and the ones I like are expensive etc etc etc. Curtains are great in a kids room. Unless you find something that feels posh, they probably won't feel good in your room. If you take out the carpet, that will solve your open/close problem with current doors, most likely. You may need to repair the hinges and oil them too. Then, spray paint the doors something bright. For a few bucks, you can postpone dealing with this forever (which is my preferred method of postponing). Found you through Dwija's post--can't wait to read more. 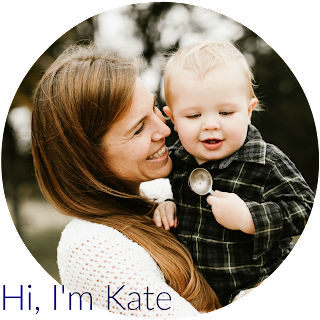 You both have a similar way of seeming conversational, which I love. Thank you! And you're right about getting to a place where you can "postpone dealing with it" - With most design issues I find that I have to get to a happy enough place right away and forget about perfect. 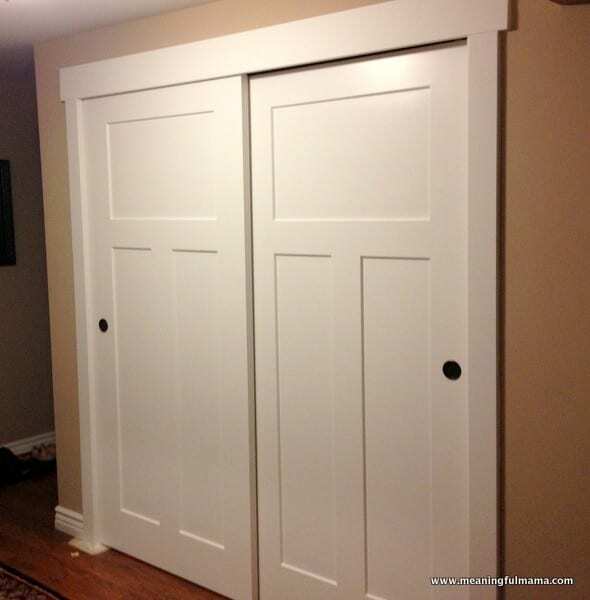 Could your incredibly handy and genius husband who is also hilarious and clever (I'm trying to help you out in the convincing department) create pocket doors? That will solve the room real estate problem of the swing out doors and the half the closet is covered problem of the bypass doors. Plus: fancy! If the current doors are in good enough shape, you might just try painting them first. 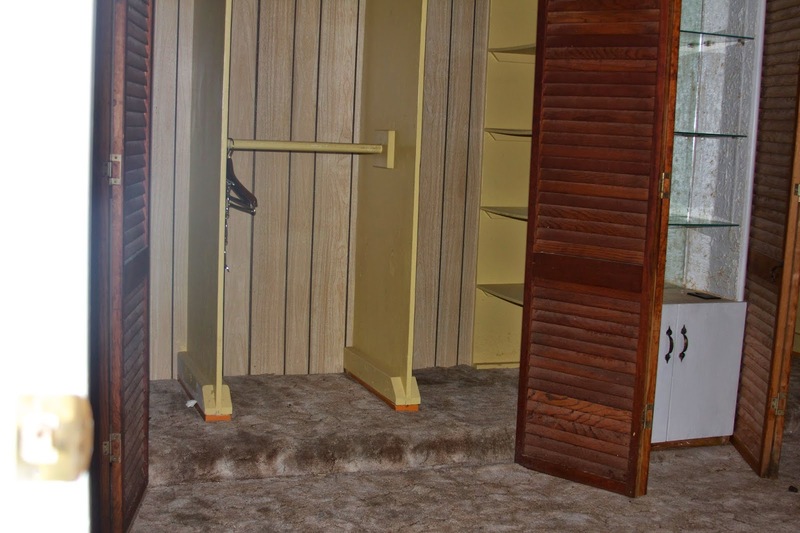 Our last house had very similar closet doors, but they were made of metal and painted an awful, sickly green color. 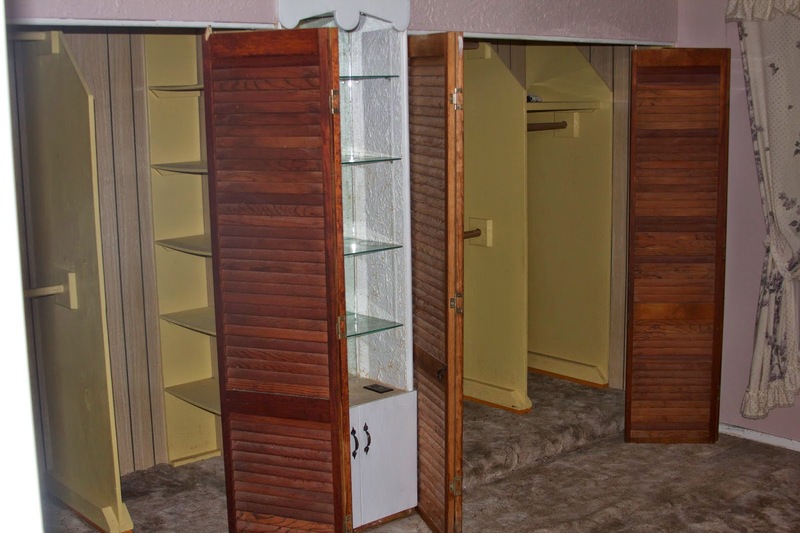 They also had terrible, '70's faux gold, floral knobs. Anyway, my husband painted them white and replaced the knobs with ones that were simpler and white -- and the whole thing was a million times better. What a difference it made! If you go with different bi-folds, I love the third. Good luck! i'm loving those green doors -- can't wait to see what you do with the place! I'm so jeal of all this reno. What about keeping the closet on the left and using the one on the right as a nursery/nook area? It looks like it would fit a small crib/changing table and a rocking chair...maybe put a small window there too? Whoa. I'm so impressed about these comments, so good. I have crap-tastic bi-folds so the idea of pretty closet doors is foreign. But all these options are doable for sure! As in gorgeous. I'd lean away from curtains if you're renting, because I don't think lots of renters would like them. But maybe I'm wrong? ?